Paula Deen loves her butter, and I love my cream. My daughter often laughs at me and says that I always suggest whatever we're eating should have some whipped cream, sour cream or cream cheese (well, not literally everything!). Adding credence to that, I'm just smitten with the new Philadelphia Cooking Cremes by Kraft (see the White Chocolate Frosting I created using Philadelphia Indulgence White Chocolate Cream Cheese Spread). I'm all for ingredients that make recipes easier and even tastier, as the Philadelphia Cooking Cremes do. Oh, I have my more complicated recipes, which I generally reserve for special occasions; but we all want something easy to prepare for our busy, everyday lives...don't we? The Potato Salad Should Be Easy! Drain the potatoes and immediately, while still warm (to assure better absorption), sprinkle with the salt and pepper. Place the potatoes in a large bowl and toss with the 1/4 c. of prepared dressing. Refrigerate 1 hour, or until cooled. Gently, but thoroughly, fold into the cooled potatoes the cooking creme, sugar, 1/2 c. of the cheese, tomatoes and celery. Pour the salad into a serving dish and garnish the top with the remaining 1/4 c. of cheese. Serve this potato salad for the Fourth of July, and enjoy an easy, breezy cookout! Sweet and Salty Crack(er) Brittle! I've adapted this recipe from Trisha Yearwood's Sweet and Saltines, as seen on The Food Network recently. She said she referred to it as her "crack" because it's so addictive and, believe me, she's right! Her recipe called for 8 oz. of semi-sweet chocolate for the topping; but she did say you can't have too much chocolate...of course, I chose to use the whole bag! I experimented with different flavors of chocolate toppings for this brittle, and I discovered I actually liked them all! I also tried some finely chopped pecans on top (which I sprinkled on the milk chocolate version). My favorite flavor of chocolate is generally dark; however, on this brittle, white chocolate may be my favorite! My daughter liked all the options of chocolate toppings too, and her favorites were the white chocolate and the milk chocolate...she also liked the nuts on top! I think when I repeat this brittle, it will be hard to choose which flavor of topping to use, so I may just make it with all the chocolate versions again. I like variety anyway, plus the different colors create a great presentation and spark conversation! 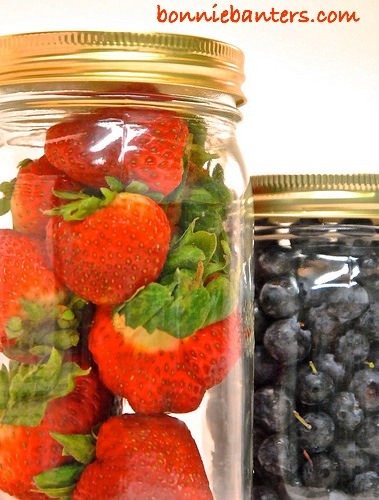 This is a very easy recipe; however, because it moves so quickly, my biggest tip would be to have everything organized and ready to go before you start! 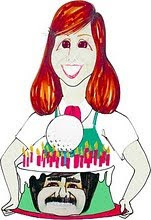 Also, this recipe requires you to work with a hot, molten mixture; so if you make it with children (Trisha made it with her teenage nephews), be sure the children are age appropriate and you all work with care! Guess I'll Have One Of Each! Line a 15 1/2" x 10 1/2" jelly roll pan with aluminum foil (make sure it comes well up the sides of the pan for easier release of the brittle) and spray with the butter-flavored cooking spray. In a non-stick medium skillet, using a whisk (protect your hand w/a pot holder), stir and melt the butter and brown sugar together over medium heat. Increase the temperature a little and bring the mixture to a rolling boil, whisking constantly. Reduce the heat back to medium and boil the toffee for 5 minutes, still stirring constantly. Place the pan in the oven and bake the coated crackers for 2 to 4 minutes, or just until bubbly, watching carefully (mine became bubbly each time after 3 1/2 minutes). Carefully remove the pan from the oven and lay back on the stove top (this will help keep the brittle warm to melt the chocolate easier). Pour a bag of chocolate chips of your choice, from the above flavors, equally over the crackers. When the chocolate chips melt a little, spread as evenly as possible with a silicone spatula. Sprinkle with the finely chopped pecans (optional). Remove the pan from the stove top and cool the brittle a little; then place in the freezer for about 15 to 20 minutes, or until it is completely cold. 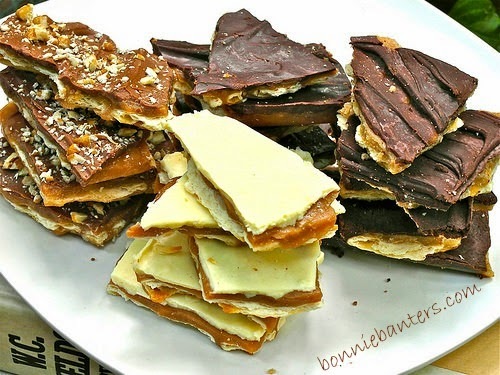 Break the sheet of brittle into pieces (the sizes and shapes will vary). Store in an airtight container. Surprise dad with this sweet and salty crack(er) brittle for Father's Day...be careful though, he'll enjoy it so much, it might become his new sin of choice! 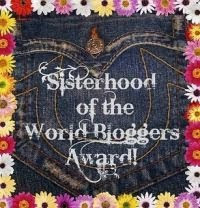 One of the rewards of blogging is that along the way, you meet many wonderful, talented people who greatly support each other. 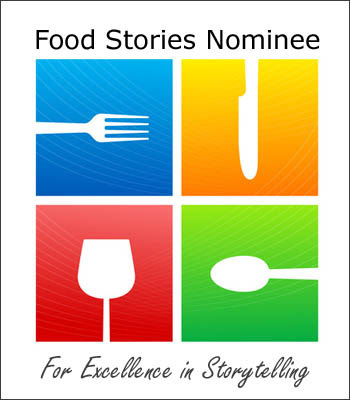 I am honored and delighted to have been nominated recently by Steve at The Black Peppercorn for a Food Stories Award for Excellence in Storytelling. Steve is a very friendly blogger who shares wonderful recipes and photographs, so be sure check out his site. Also, be sure to visit C. J. at Food Stories where she focuses on healthy foods and offers opportunities for bloggers to get to know each other. I'm also suppose to share one random thing about myself: I love old movies, and my favorite is Gone with the Wind...I can't watch it too many times!